Every pregnant woman gets their plethora of questions. Most of which are annoying, but the person asking usually has the woman’s best interest in mind. I understand that. For me, I have been asked frequently, “Are you sure you’re going to make it to your due date? ?” (no, but no one really knows) and “What are you going to do if you go in to labor during yoga/barre class? ?” (I’ll probably keep teaching). Understandable questions. 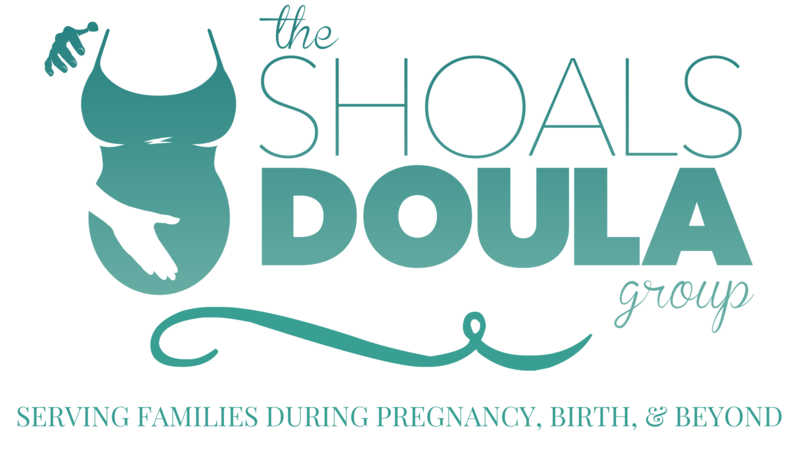 Another frequent question has been, “Are you going to be your own doula? ?” The answer is definitely not! But I understand why someone would be asking. To the general public, there is not much insight about what us doulas actually do. Most people confuse us with midwives and assume we deliver babies. Others assume that since we attend births and do not provide medical support that we aren’t all that helpful or necessary. Either side is simply confused about the role of a doula. It’s just one of those things that you can learn and research about, but until you actually experience the support of a doula… you don’t fully understand it (can I get an Amen?). – I need my girls. I am very thankful to have an amazing husband who has been my rock during my pregnancies, but there’s just something about being with other women who have experience the trial that you are going through. I remember looking at my midwife and her assistants multiple times while I was in labor and thinking, “they did this, they survived, I can do this too.” Labor brings all sorts of doubts and fears that you cannot control. Along with prayer, knowing that they had delivered their babies and believed I could too gave me the confidence to persevere. –My husband needs my girls too (as weird as that sounds). My labor and delivery with my first was pretty smooth and by the book. Although it was difficult being a first time mom with a posterior (sunny side up) baby, our baby boy was delivered 8 hours after active labor started. I was focused and couldn’t explain to him how I was feeling BUT the support I had could. They reassured him that everything was normal, told him what was happening, gave him ideas of what he could do to help, and gave him peace of mind. He was pretty scared (and understandably so) and their support help him so much. I obviously cannot comfort him with what’s happening while I am in labor! – Labor land is not a place of practical thinking. I’m a jerk when I’m in labor. I get in to my own world and focus. With the birth of my first babe, I didn’t talk the entire time and was not affectionate. I remember thinking of the whole process as a marathon and was taking one mile at a time. I began making those moo like noises and didn’t stop to rest in between contractions (hilarious to think about now). I would stay very still and even stiff just to handle the pain. To me, I felt like I was just focusing on what I needed to do to get my baby here. What I was really doing was wearing myself out. My midwife reassured me that I did not need to moo the whole time.. and to take breaks in between contractions so that they knew when I was having them. She said my throat was going to hurt if I didn’t take a break (which it did, I was horse for a week lol). My midwife’s assistant gently and patiently moved me in to different positions to help me relax and help bring baby down. If it wasn’t for their direction, I would have been on all-fours mooing the entire time. They helped me work my baby out the way that was most effective. I need direction because I am not in the right state of mind! – I don’t have it all together. Just because I’m a doula, that does not mean I know everything about this motherhood thing. I still need support during pregnancy and will need it after my baby is born. I do not claim to know all the answers and I will admit right here that I don’t! Just because you are in the birth profession, or any profession, does not mean you have arrived in that area of expertise. Sure, I’ve seen a lot, have grown and learned from it, but I want to continue grow! I am grateful to have experienced this process with many women BUT if there’s one thing that I have learned it’s this: that every woman is different, every pregnancy is different, every birth is different, and every baby is different. That being said, I need reassurance from my doula and support team. I actually joked with my midwife and said “Didn’t you like first-time-naive-mom-Katie better? ?” If anything, being a doula has made me question more and be more aware of my body during pregnancy and the expectations I have after my baby is born. Having a doula there to answer questions and bring peace of mind is important no matter what profession you’re in or which pregnancy it is. So that being said, I am thankful for the support team I have had during this pregnancy and am so blessed to have them by my side while I am in labor. I believe my “job” as a doula is a blessing and a honor but I will need to take that hat off while I am in labor myself. It will be my time to deliver my baby the way my body sees fit. I cannot rely on myself. Only the strength of the Lord can carry me through. And I cannot tell you how amazing it is that He has brought me the support I have to help me each step of the way. 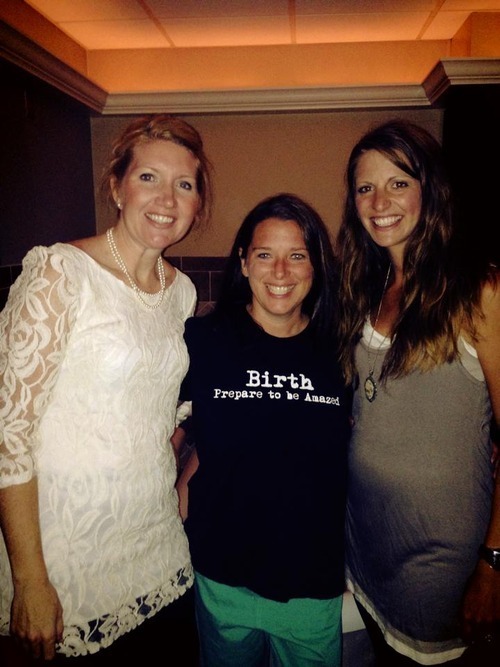 My doula April, midwife Tori, and myself.